Silk Road Dance Company performed Persian dances to benefit the Washington Area Fuel Fund. Presented in partnership with the Embassy of the Republic of Uzbekistan, Silk Road Dance Company performs dances from all three regional "schools" of Uzbek dance and historic classics from academic repertoire of Uzbek dance. Introduced by from the Embassy of Uzbekistan, the concert is narrated by Founder and Artistic Director of Silk Road Dance Company, Dr. Laurel Victoria Gray, "the pioneer of Uzbek dance in America"
In keeping with the publicized "Silk Road" theme of the 2014 VelocityDC Dance Festival, Silk Road Dance Company opened all four concerts with "Guldatsa." a famous choreography by People's Artist of Uzbekistan, Isaqar Aqilov. The dance is performed to the constantly shifting rhythms of the Uzbek frame drum or "doire." The rich velvet and gold embroidered dresses and diaphonous veils - along with thee dancers' long braids - combine to create a delayed line in the space around each dancer. This delayed line is a characteristic of Silk Road dances and part of their hypnotic beauty. Understanding through Beauty and Delight" with memorable choreographies, lavish costumes, and compelling music. 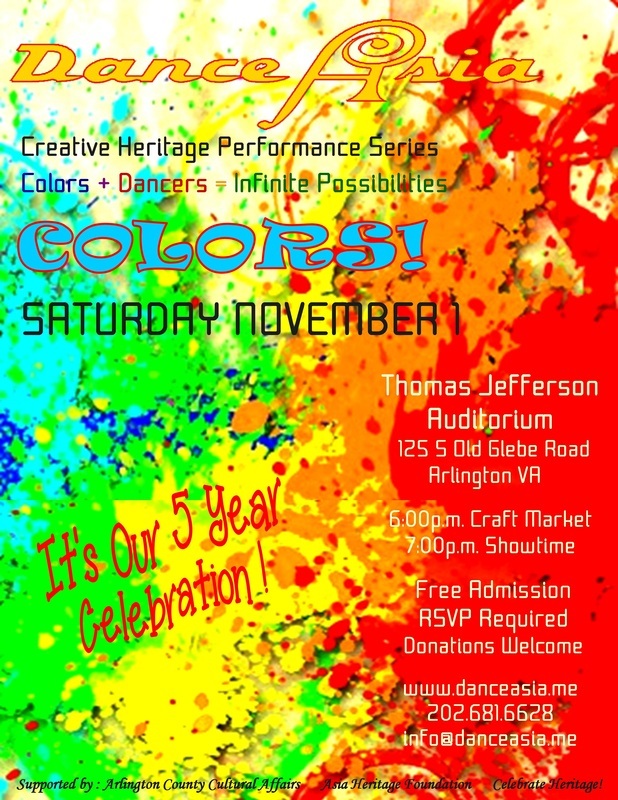 performance series presented by the City of Takoma Park . Free to publc. Silk Road Dance Company warmed up a cold Winter night with a colorful and informative evening of Ukrainian culture. 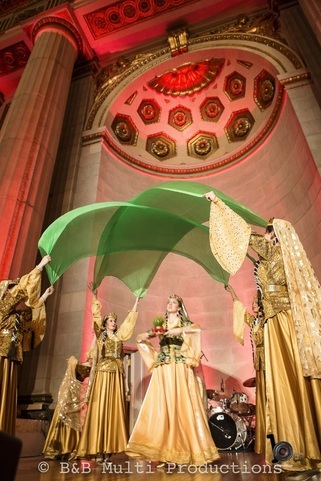 Once again Silk Road Dance Company was honored to perform as part of the Nowruz Commission annual Gala. We enjoyed sharing newly commissioned choreography. Celebrate Spring with Silk Road Dance Company at this joyous family friendly event that is free to the public. Silk Road Dance Company presented Iranian, Tajik, Uzbek and Azerbaijani dance traditions at the very first White House Nowruz Celebration held on March 21, 2014. Arts Club of Washington DC, located in the former home of President James Madison. 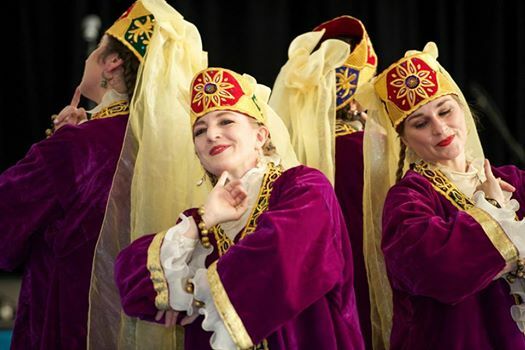 "Dances of the Turkic World"
Artistic Director, Dr. Laurel Victoria Gray, returns to Boston to teach Silk Road dance technique and choreographies for Azerbaijani and Uzbek dance.